Stationery Heaven is the result of years of dreaming about a shop in stationery. Ever since I was a little girl, I was always busy with scissors, pens and paper so about writing was a natural interest. When we had a penpal exchange in the 5th grade to practice English, my love for penpalling had begun! Penpalling lead to exchanging FB’s (friendship booklets) when a penpal introduced me to one. Those eventually lead to exchanging decos and slams: crafty booklets that circulate among people who like filling them via snail-mail. There's various types or genres of decos and slams, and sending them to each other is called “swapping.” As of today I am still active in swapping slams and I have several lovely penpals from all over the world. I’ve always had a weakness for Kawaii stationery, but at the same time it is so very hard to find any here in The Netherlands or let alone in Europe. That’s when I finally decided to set up Stationery Heaven in early 2013 during my maternity leave. 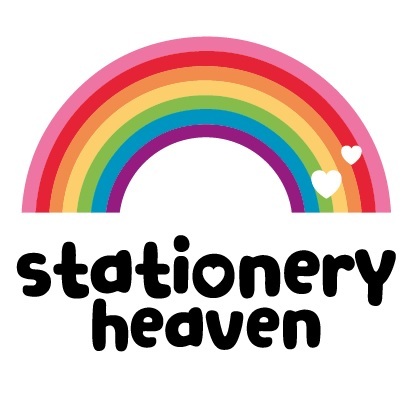 Stationery Heaven is an online Webshop selling cute stationery such as letter pads and letter sets. Additionally, I offer decotapes, stickers, accessories, and a wide range of postcards for Postcrossing lovers. Stationery Heaven is based in Nijkerk in the center of The Netherlands and is run from home. Offering these Kawaii products as well as getting the kind feedback from happy customers makes Stationery Heaven a real joy! I love to see that these cute products make other people so excited. It’s a wonderful feeling and a great motivation to find new products and improve the shop everyday!